This black unisex 100% cotton shirt fits like a well-loved favorite, featuring a crew neck, short sleeves and designed with superior combed and ring-spun cotton. 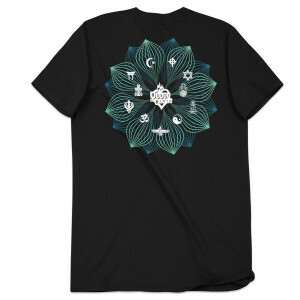 This was inspired by our brand's diverse spirituality represented by the many symbols on the shirt and a geometric Lotus. 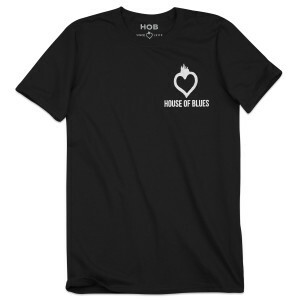 I do LOVE this shirt, EVERYTHING about it, its 100%cotton, and I LOVE the "coexist" logo on the back! I am in NO way religious, but I DO love the coexist bumper stickers, as in, "quit hurting/killing each other in the name of your "god," as I am sure MY (your) "god," would NOT want it like that"